There were reports earlier about the Asus Padfone Mini being announced on December 11. True to the reports the company has officially announced the Mini version of the Asus Padfone. The Asus Padfone Mini has been officially announced in Taiwan. The device has a smaller 4.3 inch display with a resolution of 960 x 540 pixels. The smartphone is powered 1.4 GHz quad core Snapdragon 400 processor along with 1 GB of RAM and 16 GB of internal storage. The phone can be docked into the 7 inch Padfone station to convert it into a tablet. 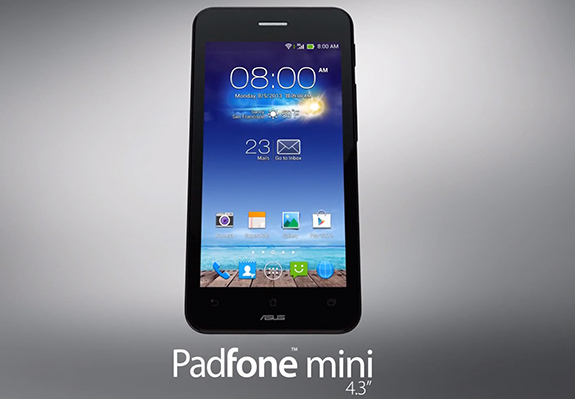 The Asus Padfone Mini is equipped with an 8 MP rear facing camera besides a front facing 2 MP camera. The device runs on the Android Jelly Bean OS. The smartphone has a 1500 mAh battery and the docking station has a 2200 mAh battery. The device is available in Black, White and Cherry Pink colours.